Intel Extreme Masters announced Friday the list of teams invited to the Asia closed qualifier for the IEM Katowice Major. The list of teams includes Renegades, Tainted Minds, Grayhound Gaming and ORDER. These four teams will face the top two teams from two open qualifiers in the region in the region's only closed qualifier. The top two there will move on to the IEM Katowice minor to compete for a spot in the first ​Counter-Strike: Global Offensive Major of the year. 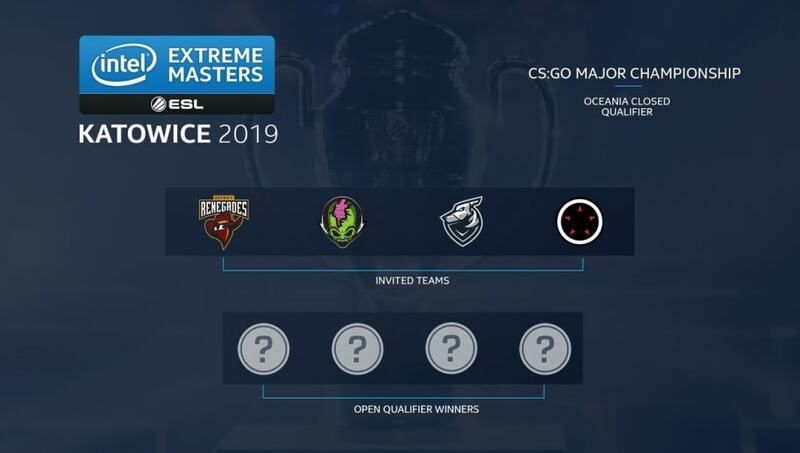 As we prepare for qualifiers to begin on October 22nd, here are the invited Asia (Oceania) teams to the #IEM Katowice 2019 CS:GO Major Championship qualifiers! ​Registration for the open qualifiers is currently available. The first will take place Nov. 2, followed Nov. 13 by the second. The closed qualifier will run Nov. 18–19. ESL also announced the ​invites for the Europe closed qualifier Friday, having ​announced Katowice as the first Major of the year back on July 12. IEM Katowice will be the first Major to feature a live crowd ​during the New Legends Stage.